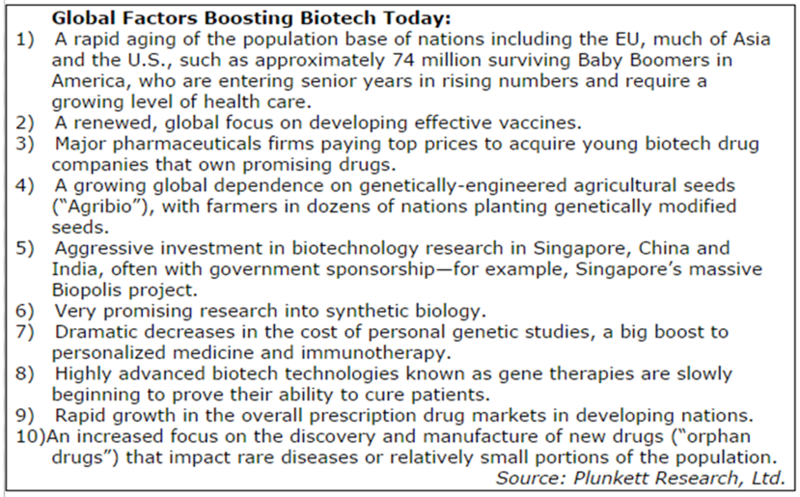 Drug Markets to Soar in China and India - Plunkett Research, Ltd.
Advanced generations of drugs developed through biotechnology continue to enter the marketplace. The results may be very promising for patients, as a technology-driven tipping point of medical care is approaching, where drugs that target specific genes and proteins may eventually become widespread. However, it continues to be difficult and expensive to introduce a new drug in the U.S. Dozens of exciting new drugs for the treatment of dire diseases such as cancer, AIDS, Parkinson’s and Alzheimer’s are either on the market or are very close to regulatory approval. In a few instances, doctors are now beginning to make treatment decisions based on a patient’s genetic makeup. Stem cell research is moving ahead briskly on a global basis, and a handful of doctors around the world are now collecting a human patient’s stem cells, cultivating them in a laboratory and reinjecting them into the patient. Many claim dramatic results from this method, in treatment of spine and joint problems, cardiac disease and other conditions. The procedure can cost thousands of dollars and remains experimental. Noted Americans who recently used this procedure include Governor Rick Perry of Texas and New York Yankees baseball team pitcher Bartolo Colon. Personal genetic codes are becoming less expensive and more widely attainable. Today, the cost of decoding the most important sections of the human genome for an individual patient has dropped dramatically. 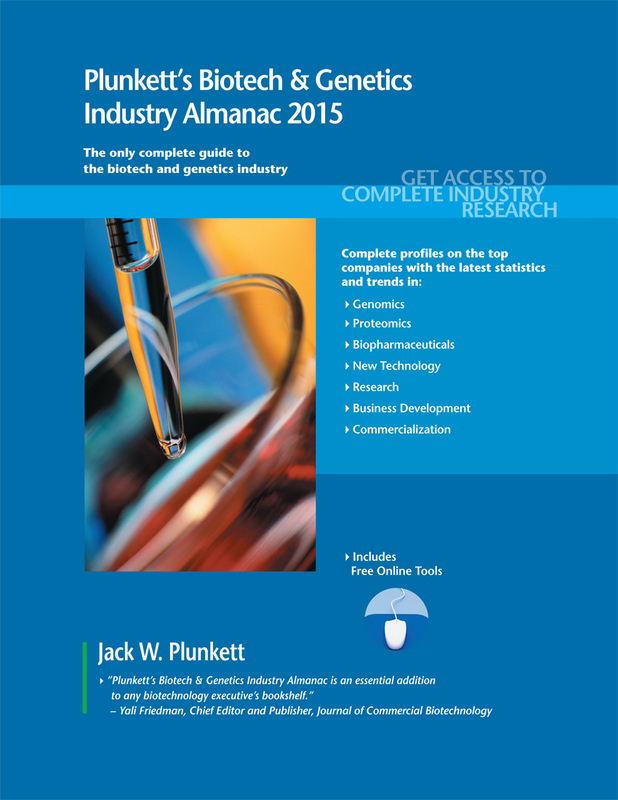 Our Biotech & Genetics Industry Almanac 2015 is your key understanding to this growing industry. This entry was posted in News on February 3, 2015 by Jack Plunkett.